Website solved all kind of issue HTML, CSS, Bootstrap, and responsive websiteIf you face any issues with your website, then you can hire me for your project. I am always ready to help you. ==> Responsive fix mobile,tablet,desktop etc. If you are not satisfied 100% money back guarantee. $4 order only for one single issue. if you need fixing more than one issue check my service extra. Please send me a message before ordering. 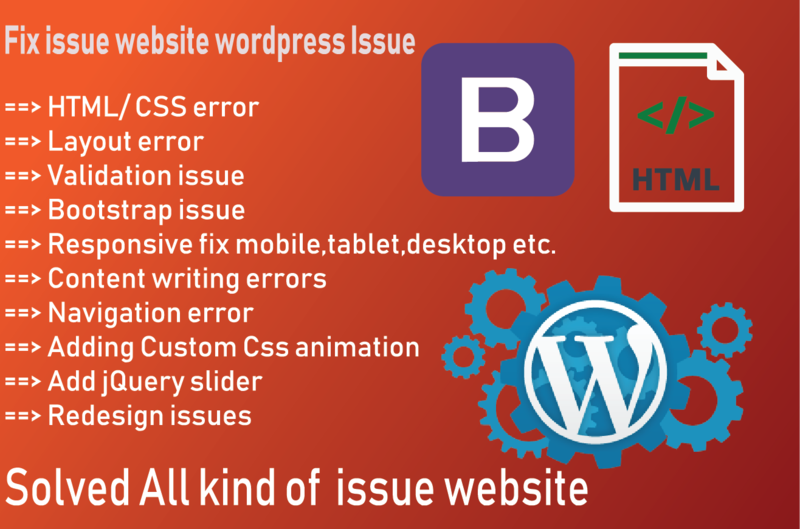 Fixed Website all issue html, css, bootstrap and responsive etc is ranked 5 out of 5. Based on 8 user reviews.